It is important for us in Hikiän to take part into charity work. In fact, charity is close to our heart because we know that we can only make a difference if we also do our part. Step by step, together we can make difference towards a better world. Hikiän Team on their way to Aito Päiväkodit day care. Earlier Hikiän supported many different athletes such as HIFK bandy team and Joni Salovaara (mma fighter). Now we have made the decision that we will take a step further and change our support more towards charity work. We have chosen a very important and meaningful group for us, kids. Kids are the future and we want to be a part of their healthy meals everyday. 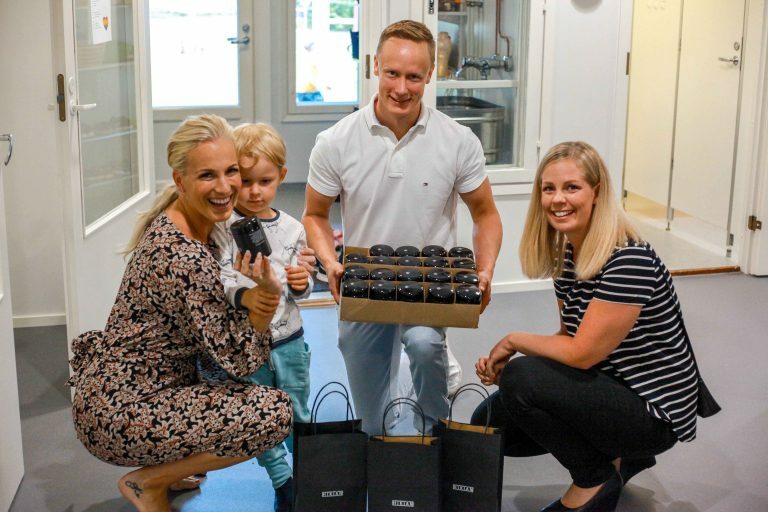 In Finland every single kid will receive free of charge breakfast, luch and a snack during their day in day care. Provided meals are generally quite healthy and they are following the food recommendations made by Finnish National Institute for Health and Welfare . However there are always room to improve and in our case we want to improve sweeteners used in day cares. 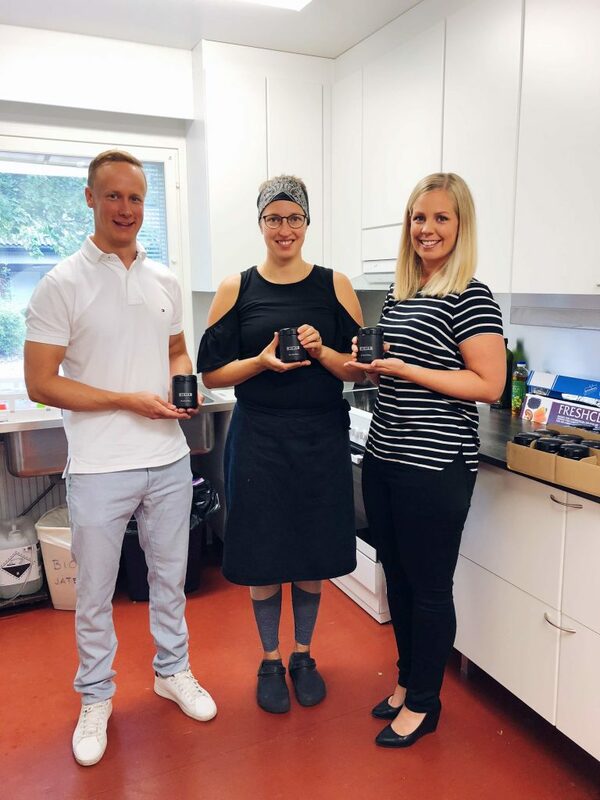 For now on we will give away organic raw honey to Finnish day cares to allow children enjoy healthier sweeteners in their meals. Happy staff in Aito Päiväkodit day care kitchen. Our first charity target was just recently opened ”Aito Päiväkodit” day care in Kerava, Finland. 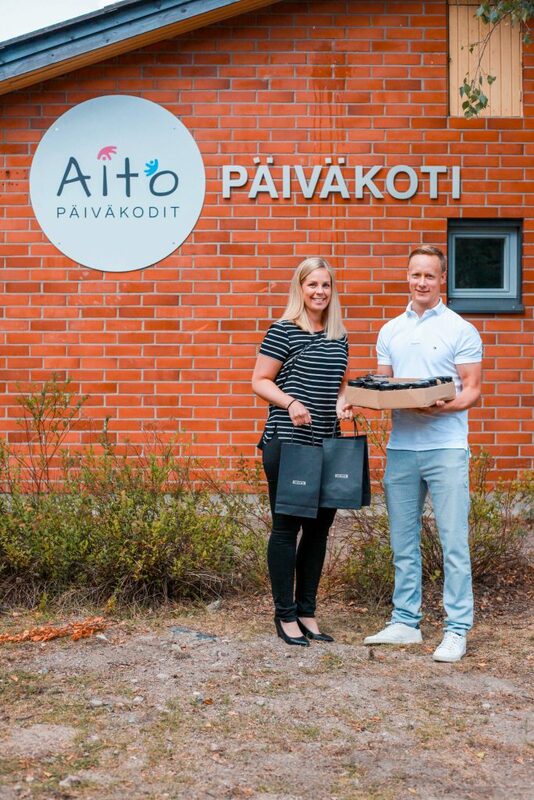 We chose Aito Päiväkodit because they are truly focusing healthy foods overall in their kitchen. Sports are also very big part of their daily routine and together with healthy diet there are happy and healthy kids. We think that all this represents well the same values with Hikiän and that makes Aito Päiväkodit day care a perfect charity target for us. Nanna Karalahti from Aito Päiväkodit received charity box of honey with humble thankfulness.